Unfortunately for my waistline, the birthday celebrations lasted 4 nights. It was great though! 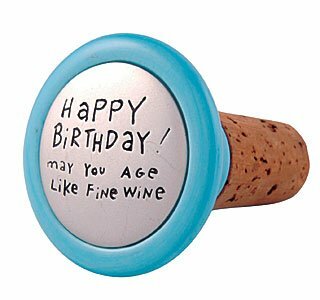 On the night of the actual birthday, I had this Red Blend from my friend Judy. Deep and dark, this red blend is also silky smooth. 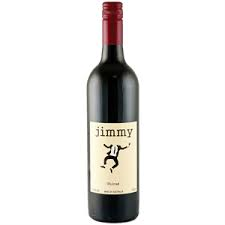 It is 46% Zinfandel, 44% Syrah and 10% Petite Sirah, which makes it rich and juicy with a little spice added in. A fantastic BBQ wine, it was aged 16 months in French oak, so it would go with any meat dish. 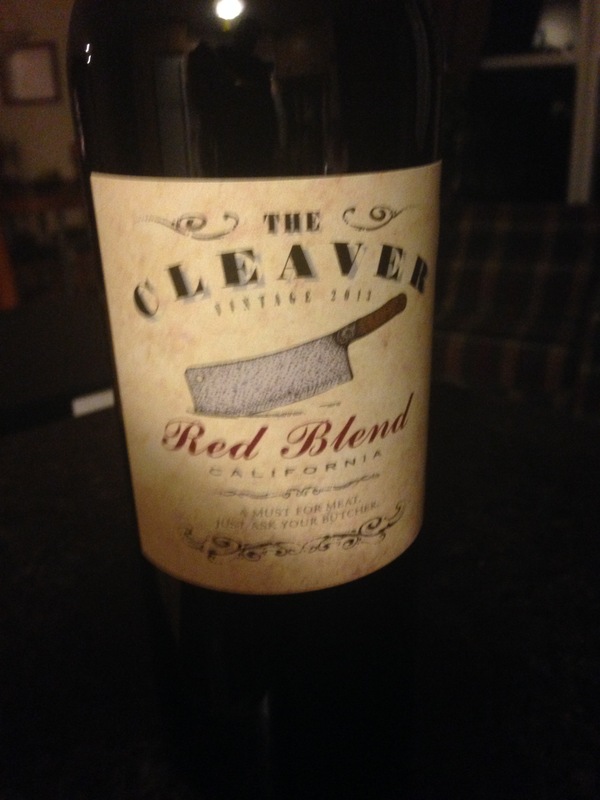 Owned by the same people who make this beauty, the Cleaver and Renwood Winerys are owned by international vintner, Alejandro P. Bulgheroni, a family-owned collection of wine estates from around the world. In addition to Renwood Winery in Amador County, The Cleaver from California, Bodega Vistalba, Tomero and Bodega Argento in Argentina, and Bodega Garzón in Uruguay, they also have properties in France, Italy, and other distinguished wine regions. They are putting out some fantastic wines. The next night my friend took me to one of my favorite restaurants in Halifax, the Bicycle Thief. I enjoyed the spectacular beef tenderloin there, and with the juicy steak, we had a juicy wine. 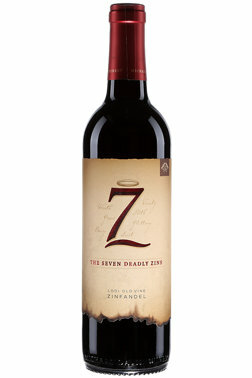 The 7 Deadly Zins was a spectacular match with my beef tenderloin and my friend’s lamb. The big bold juicy wine with hickory smoke flavors complimented both dishes very well. I’m not much of a cake person myself, so for dessert I chose a creme brulee. 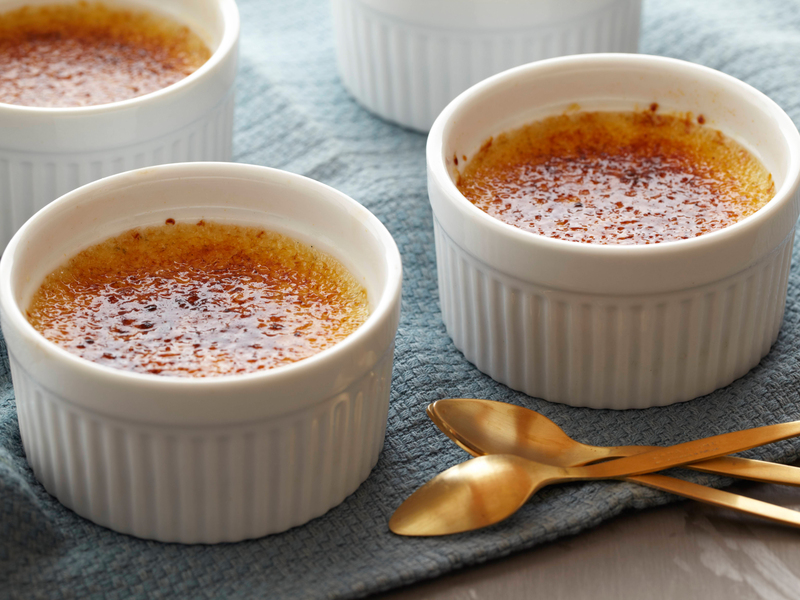 I love creme brulee, and in my opinion, the perfect wine match is one of my favorite Canadian dessert wines. The Borealis from Benjamin Bridge is a wonderful dessert wine, reminding me of a Royal Tokaji. This wine is made from the Vidal grape here in Nova Scotia, and is the perfect compliment to your favorite sweet dessert. Picked at the perfect time, when the temperatures hits -10-degrees outside, which is very common here in Eastern Canada. (Yes, that was not a typo, I said minus 10 degrees) Gorgeous flavors of apricots and peaches make for one of my favorite dessert wines. I actually didn’t really appreciate dessert wines until I started taking my Sommelier courses. 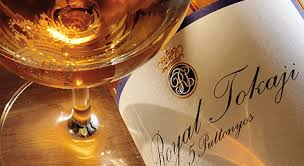 The Royal Tokaji is heaven in a glass, and is just a fantastic dessert wine. I actually had this wine on one of my final tasting exams, while doing one of my courses. It is made in Hungary and the process is very labor intensive, so I tend to be very grateful with every sip. An amber/gold color and rich apricots and honey on the palate. I love this wine. A great wine at a great value. 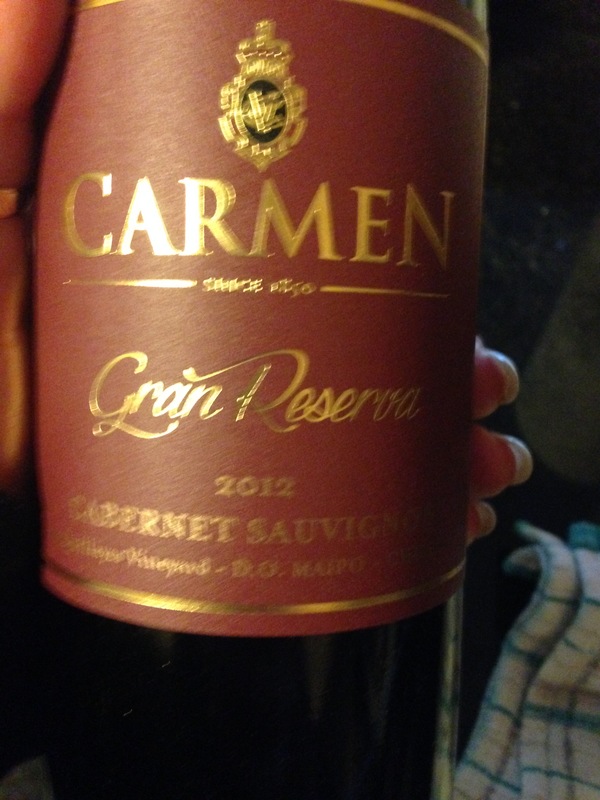 The Carmen Gran Reserva Cabernet Sauvignon from 2012. Chile is putting out some great Cabernet Sauvignon wines and this one is no exception. I loved the $20 price tag, but loved the wine in the bottle even more. Given a 91 Point rating by Wine Spectator, this publication also calls it a ‘smart buy’ and featured it as the wine of the week. Rich and well-spiced with notes of black pepper, here is another great steak wine. Well that’s it for me for this week, I survived another birthday. 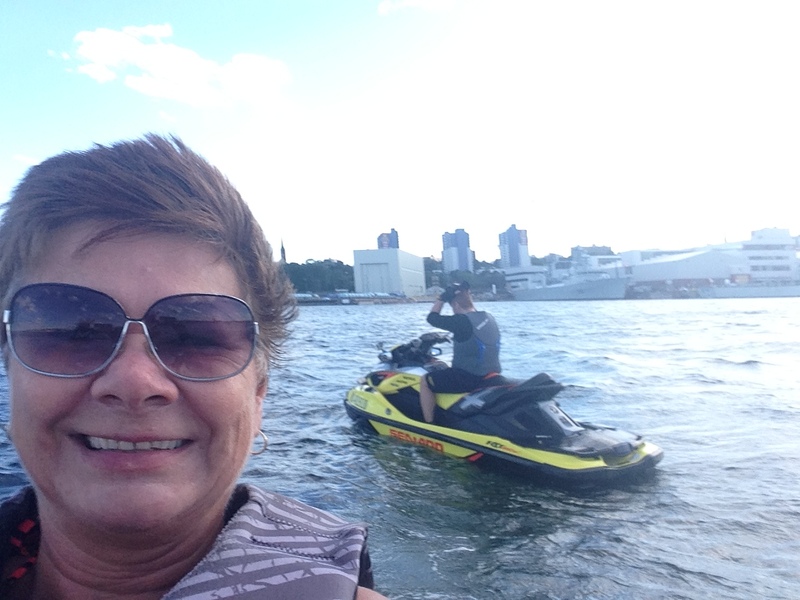 Not sure how you’re chilling out this Summer, but I’m trying to spend as much time as possible either in the water or on the water. With the help of some cool refreshments, as the title suggests, I’m a fool for the cool, and I love taking the opportunity to try new wines this time of year. I have tried a new Chardonnay recently and I loved it. 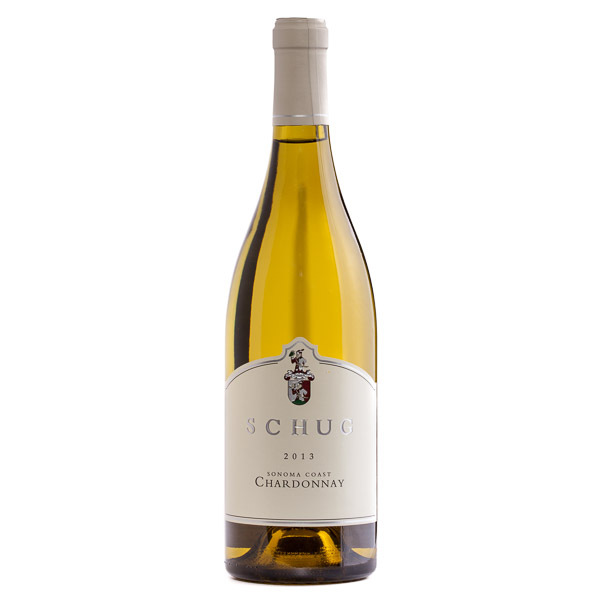 The Schug Chardonnay from the U.S.A. is an awesome wine to help cool down with. Glorious flavors of pears and tropical fruits make this a Summer favorite. 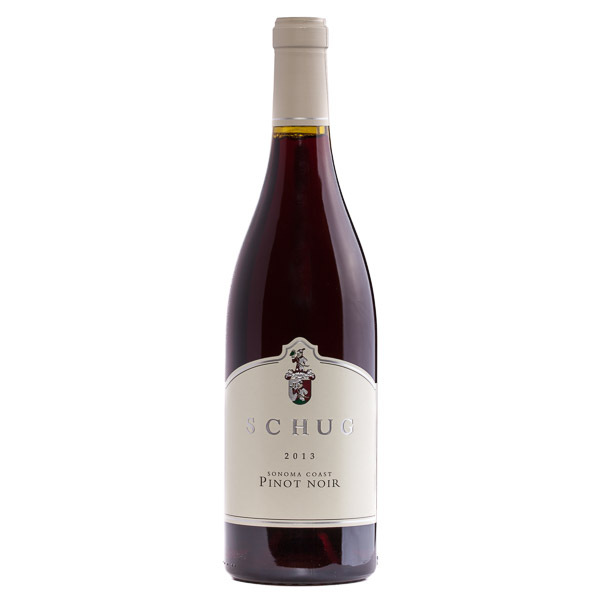 You’ve probably heard me talk about its sister wine – the Schug Pinot Noir. I have written about this fantastic wine before. This smoky Pinot Noir is at the top of my favorites list. This is a picture of the family that owns and runs the Schug Carneros Estate Winery led by Walter and Gertrud Schug, who’s parents both ran vineyards in Germany. They are putting out spectacular wines, and if you haven’t already tried them, put them on your wine bucket list. 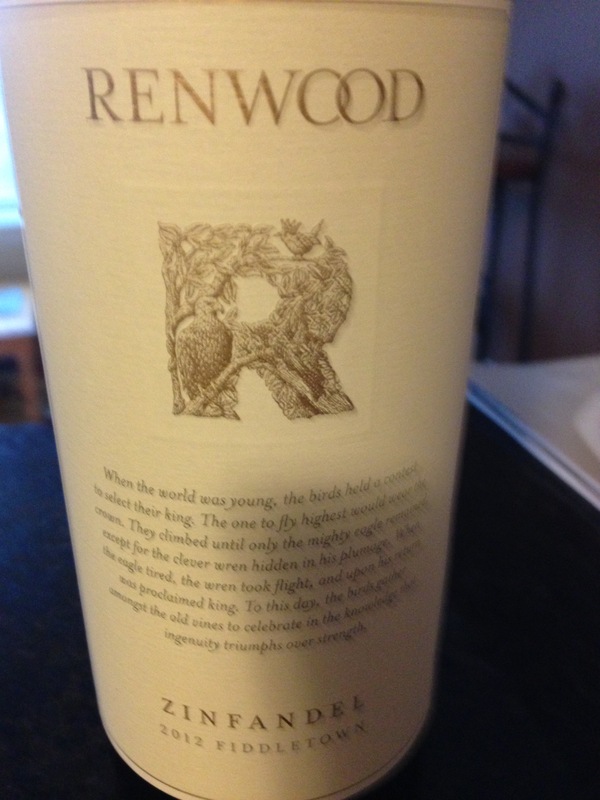 Another favorite of mine to chill off during this Summer is this wine…. I have written before about Tidal Bay wines from Nova Scotia and I do the love the crisp tropical flavors. I would like to take a moment to say Congratulations to Avondale Sky winery for recently winning the Nova Scotia Lieutenant Governor’s Award for its 2015 Tidal Bay Blend. This light crisp wine goes with everything Summer, and has gorgeous grapefruit and gooseberry flavors. Seafood, appetizers, vegetable dishes – this is an extremely versatile wine and a big heartfelt Congratulations going out to the fine people at Avondale Sky winery. 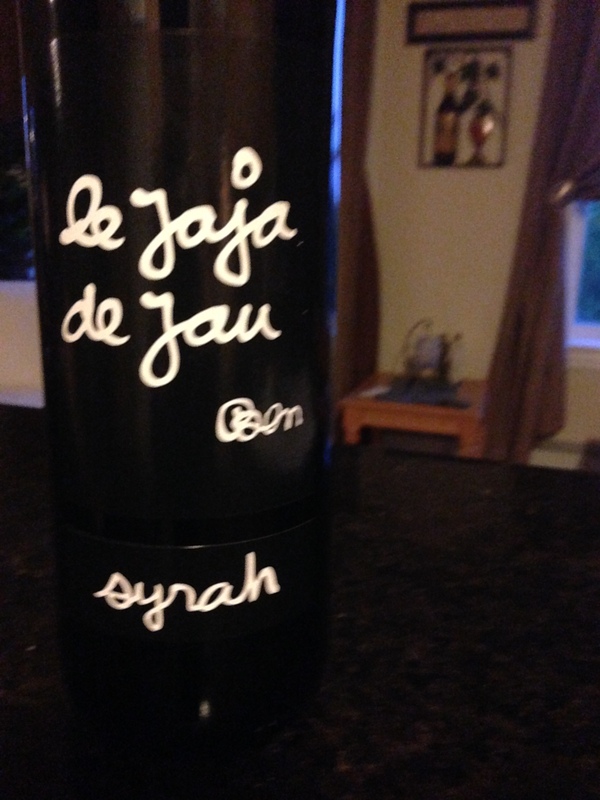 This gorgeous Grenache Syrah blend from France was sooooooo good! 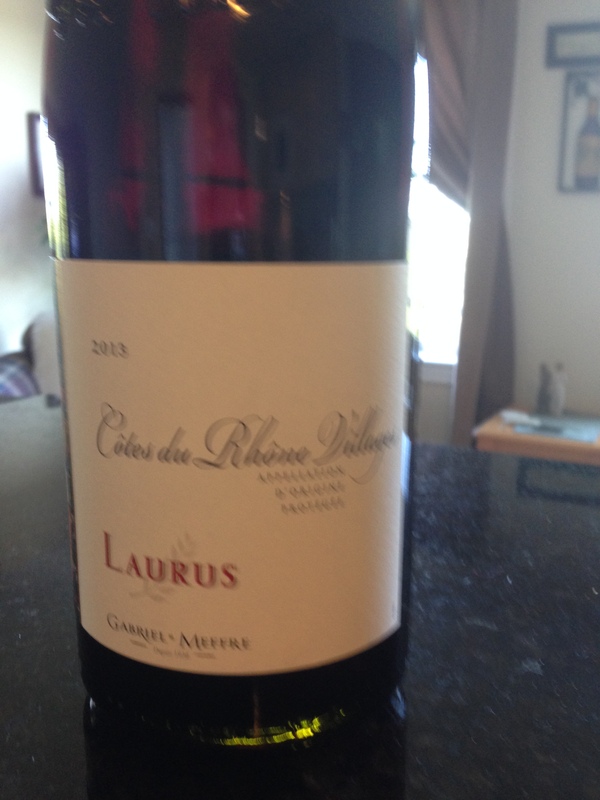 The Gabriel Meffre Laurus Rouge wine from the Gigondas region. Gigondas is in the Southern Rhone region of France and did you know no white wines can carry the designation of AOC Gigondas. Only reds allowed in this region, although it does offer a Rose wine. This wine is considered the baby brother of Chateauneuf du Pape and it is so very rich and glorious. Earthy with notes of black pepper, this beauty is about $21 a bottle, and worth every penny. 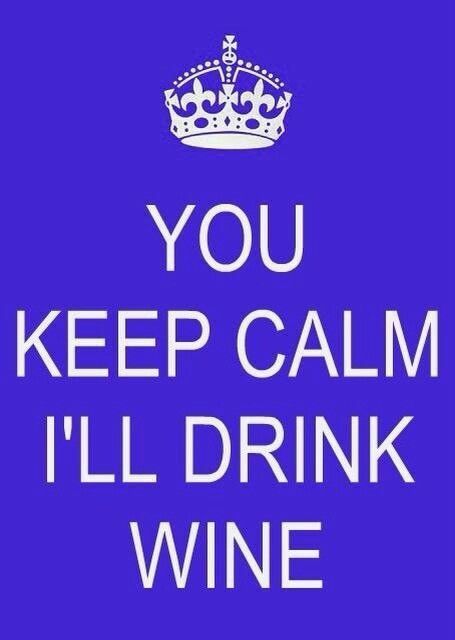 Chillin’ With Wine This Summer! 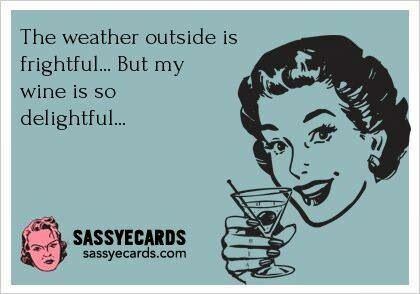 And I do mean Chillin’ literally! 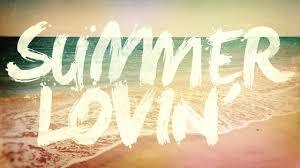 Although the weather outside is a little frightful for July, registering at a chilly 12 degrees today, July 9th. However, there’s no reason your wineglass should have to be empty. Sauvignon Blanc is one of my favourite summer wines. It goes with some of my favourite summer foods. 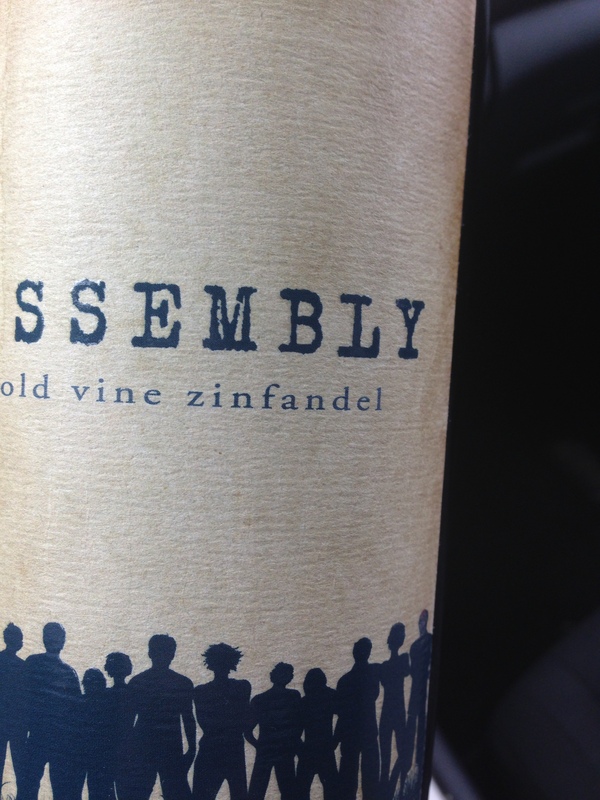 Salads, aappetizers, veggies – this is my go to wine. 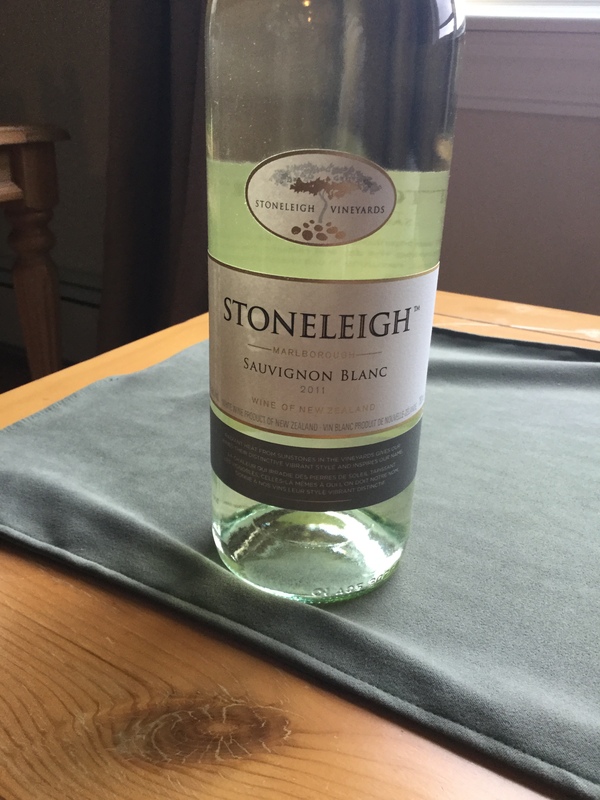 And one of my favourites is the Stoneleigh Sauvignon Blanc from New Zealand. This also brings back some great memories for me. When I started my quest to become a Sommelier The very first course I took was through the International Sommelier Guild with Andrew Facey n St. John’s Newfounfland. And as part of the final exam there was a blind taste test, and this was the wine. And I remember being one of the few that identified it during the exam, and I identified it because I loved it so much. Crisp refreshing citrus notes with hints of grass and vegetal green pepper notes. Great summer wine. Here’s a staple in my wine rack lately. This is not only a great wine it’s a great value. $17.99 here but it tastes like a much more expensive wine. This spicy Tempranillo has been aged 10 years in the cellars before being released. One word on the label of a Spanish Rioja, will tell you how long it has been aged. Crianza has to be aged for three years before release, Reserva has to be aged 5 years before release and Gran Reserva has to be aged a minimum of 7 years. 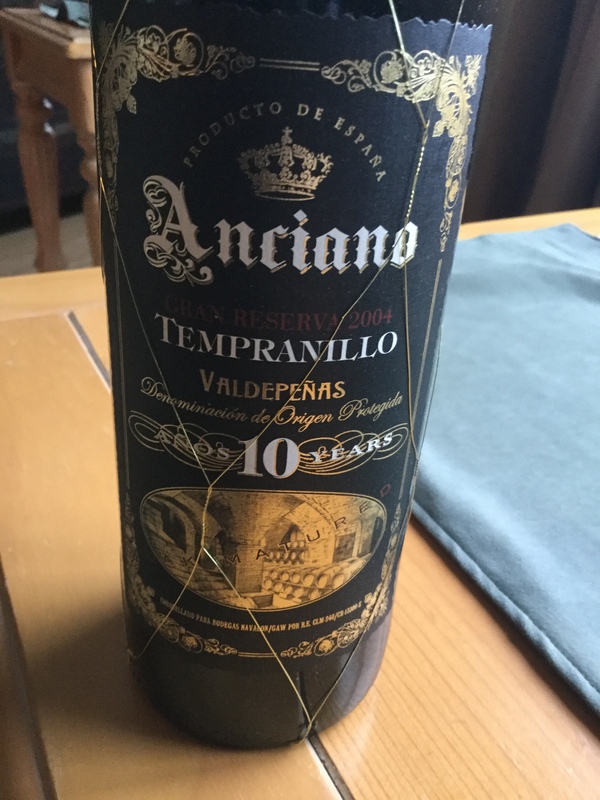 This is a great example of Gran Reserva, with gorgeous notes of leather, tobacco and vanilla. Grilled meats and aged cheeses would pair so well. Is another Spanish beauty. 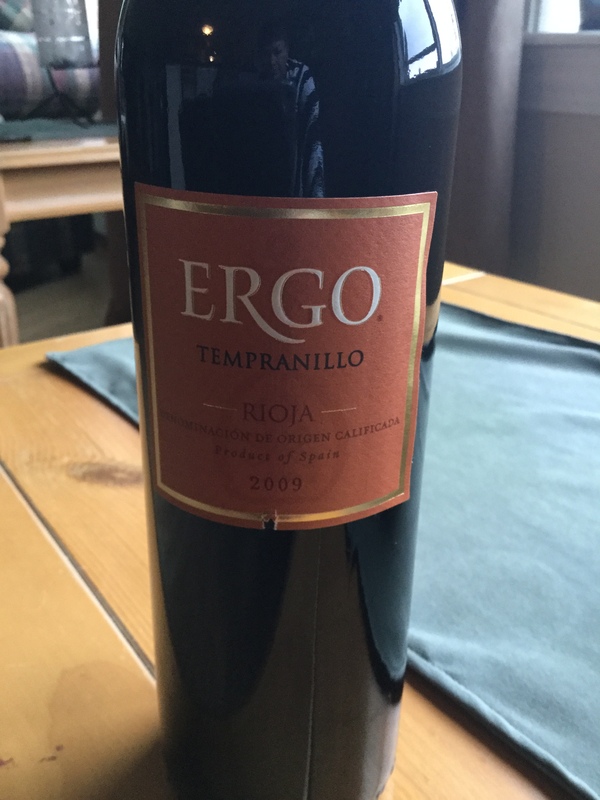 The Ergo Tempranillo from Rioja is from a vineyard recently purchased by E & J Gallo from California. Over the past few years, E & J Gallo has been expanding their portfolio by buying smaller wineries. Bodegas Martin Codax has a great reputation for quality wines in this region. 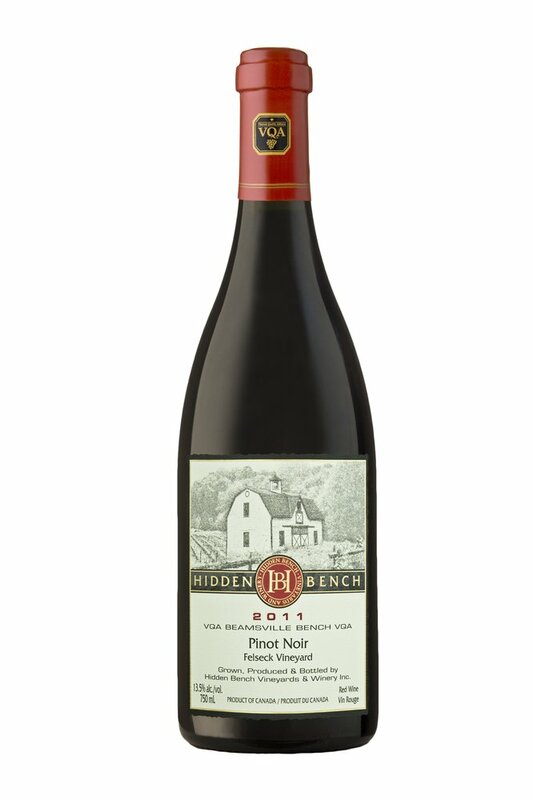 Dark cherry flavours with notes of spice and vanilla make for a great wine. This particular wine is on sale right now at our local liquor store and at $16.99 a bottle it’s a steal of a deal. 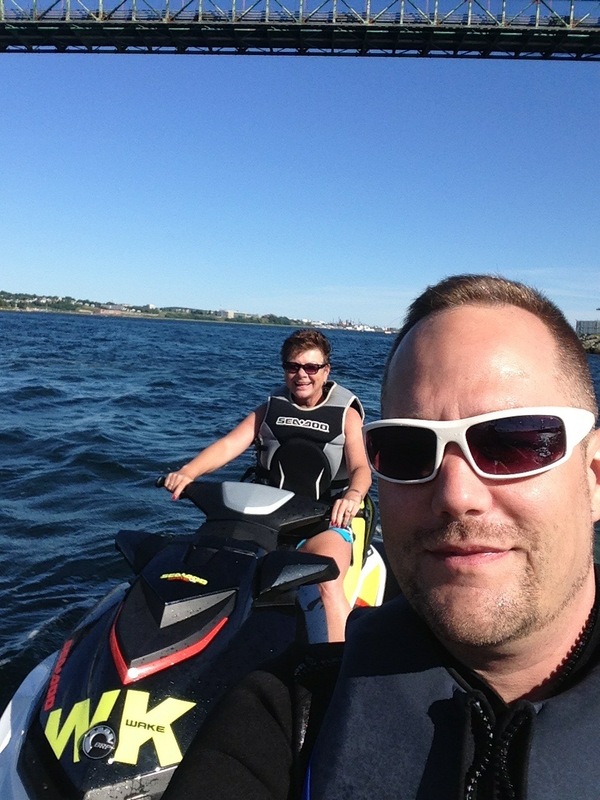 Last weekend it was 30° and I was out Sea-Dooing, this weekend it’s 12° So I guess that means inside chores. Whatever your plans are for this weekend I hope you enjoy. 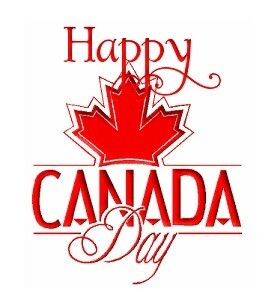 This is the Canada Day weekend here where I live, as well as the Independence Day weekend with our friends South of the Border in the United States. 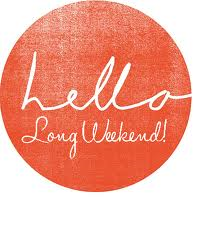 What that means is Hello Long Weekend, and who doesn’t love a long weekend. 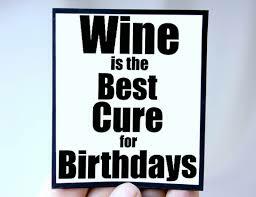 It gives you more time to drink more great wine. And for this Canada Day weekend, I want to salute our Canadian wine makers and take a moment to say thank you for some great wine. Let’s start our Canadian wine journey right here in Nova Scotia. A friend of mine at work tried Tidal Bay Wednesday night for the first time. Anthony is mainly a red wine drinker and tried his first Tidal Bay and loved it. 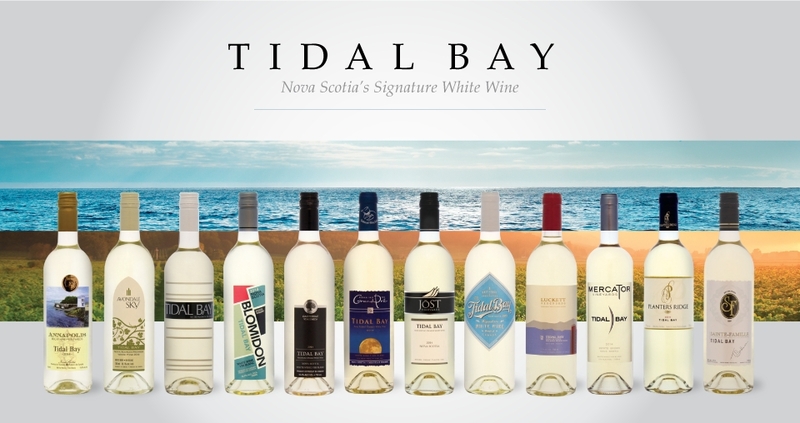 Tidal Bay is specifically made for the terroir of Nova Scotia and was meant to go fabulously with seafood. However, there is a wide variety of foods this wine pairs well with, for example appetizers and salads. Although all the Tidal Bay wines I have tried have certain characteristics in common, they all also have very distinct personalities. 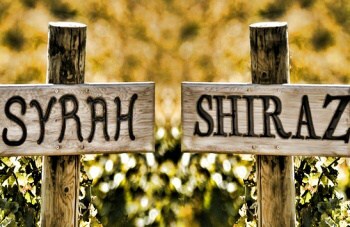 Launched in 2012, these wines can be a combination of approved grape varieties, and have a characteristic mine reality. Tidal Bay wines must also be relatively low in alcohol and no more than 11%. They are bright and crisp and very reasonably priced. While here in Nova Scotia I would like to take a moment to talk about one of my favourite dessert wines Benjamin Bridge vineyards puts out the spectacular wine called Borealis, named after the northern lights, Aurora Borealis. This wine is rich and decadent and perfect if you want a little something sweet after a big meal but don’t want the full dessert! Speaking of dessert wines, let’s head to Ontario. 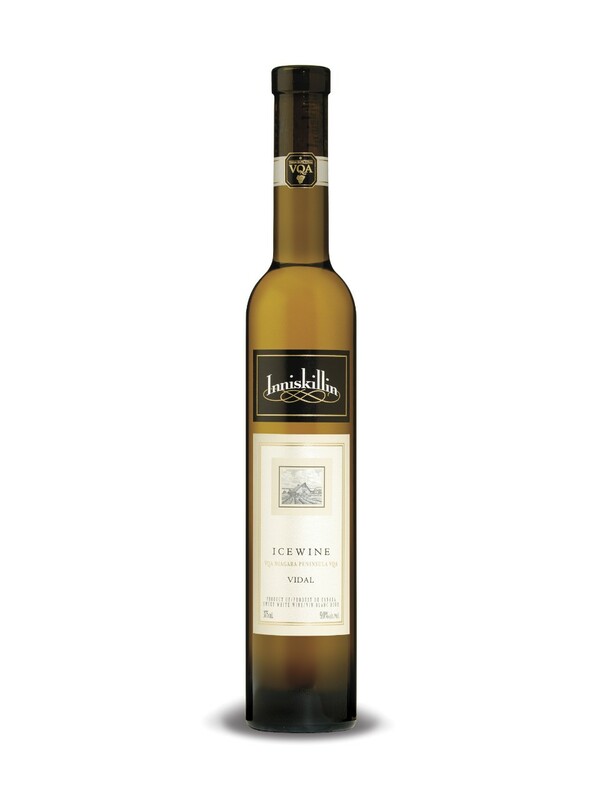 Another favorite is the Inniskillin Vidal Ice Wine from Ontario. Canada is getting noticed around the world for its incredible ice wines. It’s Canada…. we have the perfect weather for growing the perfect ice wine grape. Ice wines are picked at a later date, when the temperature hits around -10 degrees, and the sugars and solids don’t freeze, but the water does. This leaves behind a very concentrated sweet wine, which in my opinion, I would rather have for dessert than chocolate any day. It’s like a piece of heaven on the palate with rich apricot, honey and candied citrus notes. Ontario puts out a fabulous array of wines, and I wanted to mention the ice wines, because I hear a lot of people say ‘I don’t like sweet wine’. Well you don’t drink it in a wine glass as such. You have to think of it as a little piece of dessert, and it tends to get served in a small sherry glass. British Columbia is putting out spectacular quality wine and I have highlighted two of my favorites here. 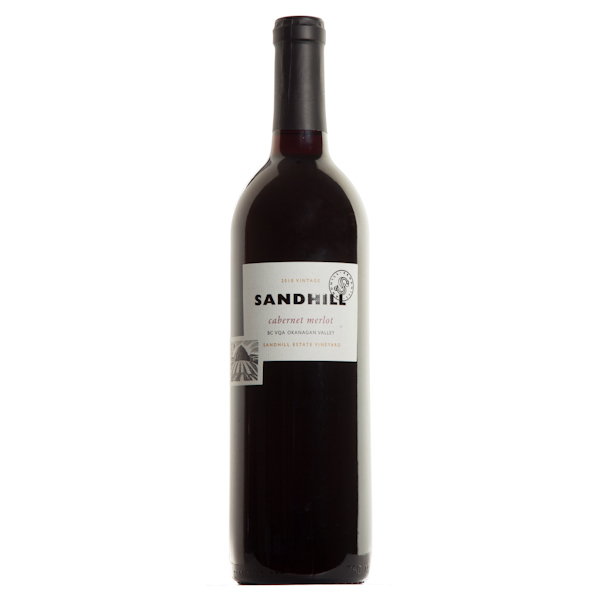 The Mission Hill Merlot is a fantastic expression of Merlot wine, juicy with hints of spice on the palate. It’s interesting and a great BBQ wine… it is after all a long weekend. And the one on the right is from Sandhill, and wine-maker Howard Soon. It’s a Cabernet Merlot blend and you won’t be disappointed in this Bordeaux style of blend. It’s got those wonderful black currant flavors with hints of black pepper and toasty vanilla. Another great steak wine. Was a gift from my sister, who went to Ontario last year to see her daughter get married. Her daughter lives in Beamsville Ontario, which is where this vineyard is located. And she brought me back a bottle of the Pinot Noir. 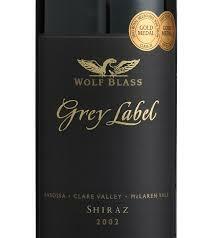 The grapes for this particular wine come from 3 estate vineyards in the region and made to very strict standards. 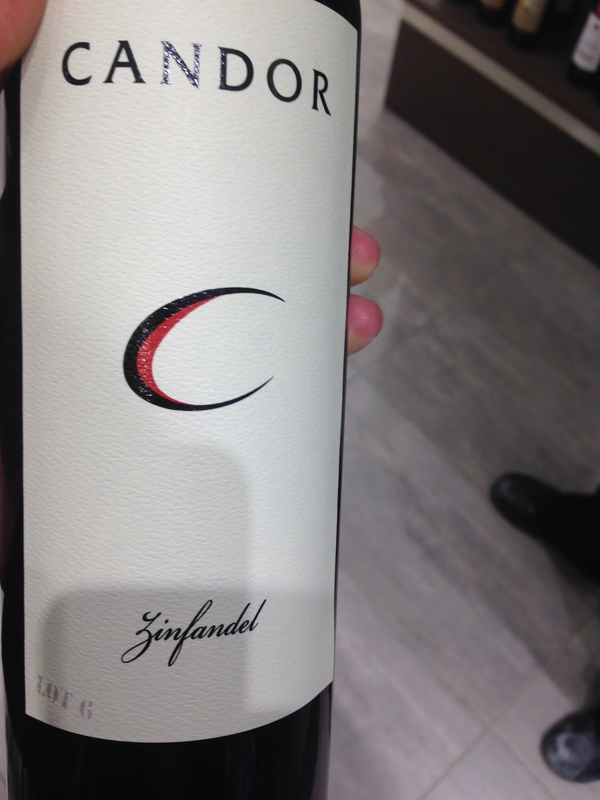 This wine was so elegant and interesting, with beautiful cherry and herb flavors. I loved the lingering finish, which you don’t always find in a Pinot Noir, but this was so well done. I loved it, and I’m a bit sad, because you can’t buy it here in Nova Scotia. 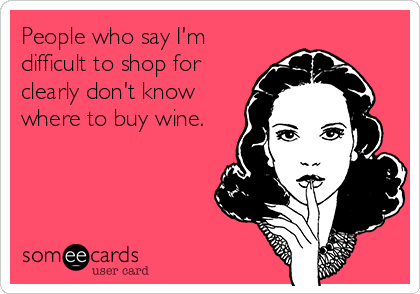 I’m putting out my wine blog a day early because it is after all Canada day! I hope all my friends in both Canada and the United States enjoy the long weekend.